I brought some new glasses this week! 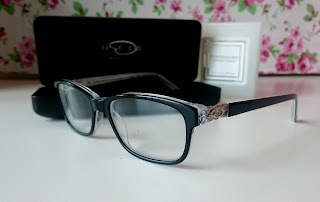 As usual I found myself lusting over the designer frames and well, you probably already guessed it, ended up with not one set but two! I went to Tesco and they were amazing! I got two pairs of frames for £125 as they were buy one get one free and as I wear glasses everyday, I decided I might as well buy ones I loved! The first pair I just had to have was Michael Kors. I'm a sucker for the thick black frame and the gorgeous round MK symbol on the corner of the arm. I love the gorgeous glossy black finish against the matt grey symbol. The next set I locked eyes on were a larger set of glasses by Oscar De La Renta. I know the size of these is a bit hipster but I just love them. I wanted a pair different to glasses I usually wear and these were it! I love the glossy black front with the light blue insides and the marble effect arms. Even the O on the corner of the frame has rhinestone details! I think you really do pay for what you get with glasses and for me, it was in the finishing touches. 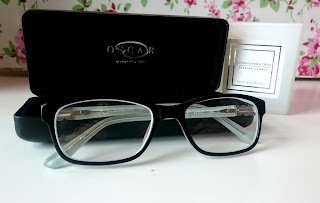 I have to also mention that Tesco Opticians were amazing. 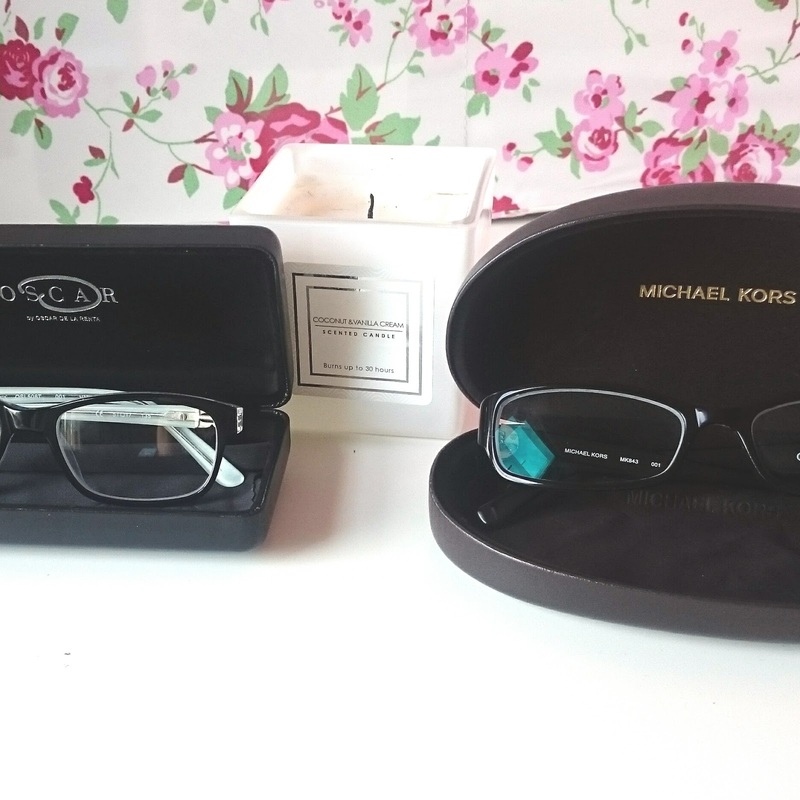 I managed to loose my glasses on Sunday on a day out so popped into a store Monday after work. I got a text message Wednesday afternoon and both pairs were ready to pick up! What pair are your favourites? 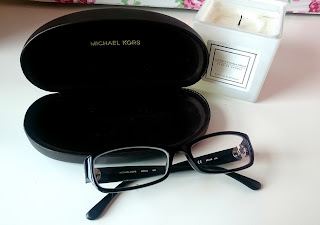 I love Michael Kors, they are such a great brand, one of my favourites. Great choices, the Michael Kors are absolutely lovely.